Google, the Mountain-view based company that we all know for their search engine, has released an update for the Chrome 2.0 browser. The update, which carries the version number of 2.0.172.37, has been released on the Beta channel and on the Stable channel and is meant to fix some bugs and some security vulnerabilities affecting the software. - Fixed solving CAPTCHA images at Orkut.com. - Forward and back navigation works even when the user is redirected. - Some CET locales did not properly recognize daylight savings time. This issue has been fixed. 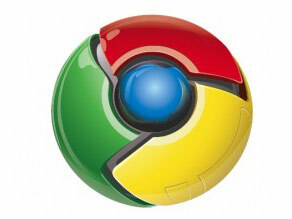 The Chrome 2.0.172.37 also addresses two security vulnerably affecting the web browser. One has been given the critical rating (run arbitrary code with the privileges of the logged user) while the second has been rated high (attacker might run arbitrary code on the targeted machine within the Chrome sandbox). Google has rolled out an update on the dev channel as well: Google Chrome 3.0.194.3 for Mac and Linux. For the Windows developer, the latest release is Chrome 3.0.193.0. The announcement has been made by Engineering Program Manager with Google, Jonathan Conradt. “Google Chrome 3.0.194.3 has been released to the Dev channel for Mac and Linux. Windows remains on 3.0.193.1. More details are available in the release notes and the log of all revisions. You can find out about getting on the Dev channel here. If you find new issues, please let us know by filing a bug [here],” said Conradt. - Saving files should no longer cause the browser to crash. - Dragging and closing a tab should no longer cause the browser to crash. - Session info will no longer be lost when you restart Chrome 3.0 for Linux. And in related news, Google has announced that in order to narrow the window of vulnerability that opens up whenever the company pushes Chrome updates, Google will make all updates smaller in size. Not only does this make the update process a lot safer, it also means that Google can push many more updates per unit of bandwidth.